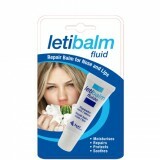 Letibalm is the only balm on the market that has been specially designed to care for lips, nose and the skin in between. This area needs special care because the lips and nose have thinner skin and less moisture glands which makes it more vulnerable to the elements. Nose blowing and cold weather can result in the delicate skin between the nose and lips becoming dry, chapped and painful. Letibalm is a gentle, restorative balm that moisturises dry skin, helps to repair chaps and cracks and calms irritation. It also creates a protective layer to prevent further damage. Letibalm is a gentle, restorative balm that moisturises dry skin, helps to repair chaps and cracks and calms irritation. It also creates a protective layer to prevent further damage. Made with natural decongestants menthol and camphor, Letibalm will help ease breathing. Price: R54.95 Availability: Dis-Chem and selected pharmacies. 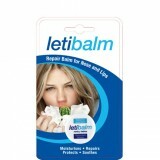 Letibalm is a gentle, restorative balm that moisturises dry skin, helps to repair chaps and cracks and calms irritation. It also creates a protective layer to prevent further damage. Made with natural decongestants menthol and camphor, Letibalm will help ease breathing. 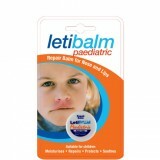 Letibalm Paediatric is suitable for children aged 0 to 8 years old. Price: R54.95 Available: Dis-Chem and selected pharmacies.